FTR Grinder / polisher, this 110v machine comes complete with a drive disc and a dust skirt. It requires a 5kva, 32A transformer, extension lead must be 32A and maximum 15M long. For dust free operation use a TV120 110v industrial vacuum connected to the FTR Grinder. The TV120 will require a 5kva transformer. The following notes describe the typical processes carried out to achieve a high gloss finish on a suitable surface. Every concrete floor is different and the process may have to be varied depending on site conditions. When changing from the metal bond diamonds to the resin hybrid based diamonds it can be advantageous to include an additional stage of the resin hybrid at 100 grit. 1.With a floor cleaning machine and vacuum remove all dust and dirt. 2.Identify all defects (holes, chips, cracks) on the clean, dry surface. All Edging, edge polishing must be done at the same time as the polishing process. 3. Perform the initial stage 1 grind using metal bond diamond tools, 30/40 grit. This will expose the surface aggregate. If the surface layer is extra thick then it is recommended to use 16/25 grit tools before the 30/40 grit diamonds. Use grinding/polishing machines at an average speed and making 3-4 passes over the area depending on the surface condition. Each pass to be at 90 deg. to the previous. Application instructions for the filler are indicated in the relevant technical specifications. 5. Continue grinding with stage 2 metal bond diamond tools, 80 grit to remove swirl marks and scratches evident after the initial grinding. Use grinding/polishing machines at a moderate speed and making 2-3 passes over the area. Each pass to be at 90 deg. to the previous. 6. Polishing the surface with polymer bond diamond tools, 50 grit. – Note on large (250m+) jobs you can use the 120 Grit metal grinding segments for a more cost effective process. 7. Polishing the surface with polymer bond diamond tools, 100 grit. 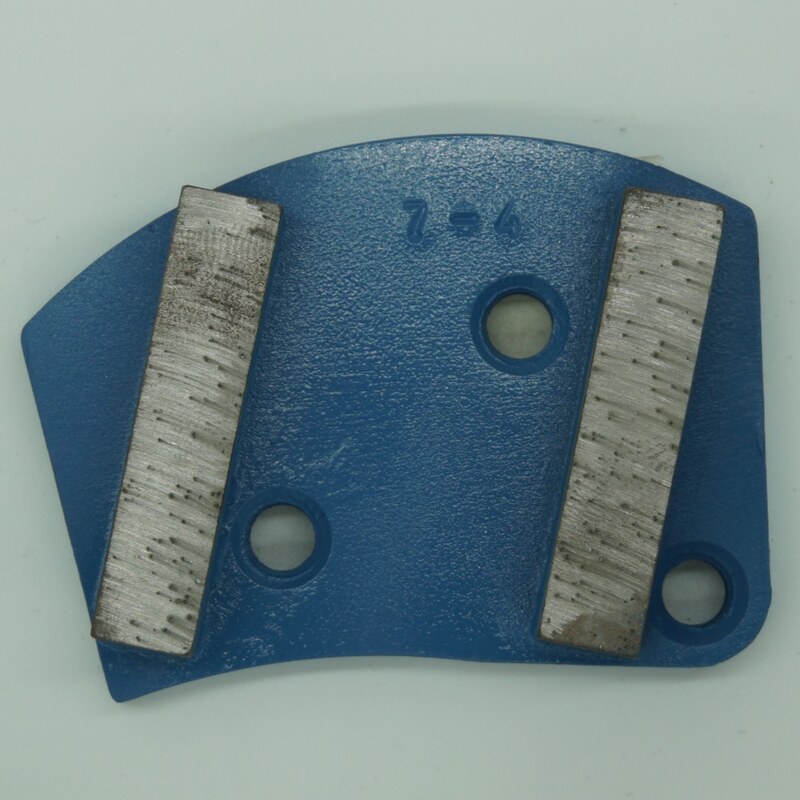 8.Polishing the surface with polymer bond diamond tools, 200 grit. 9. Application of colourant onto the clean and dry surface (if colour is needed). 10. Removal of excess colourant and application of impregnating sealer SPEKTRIN or SPEKTRIN LITHIUM on dried (coloured) surface. Procedures for applying SPEKTRIN or SPEKTRIN LITHIUM are described in the relevant instructions. 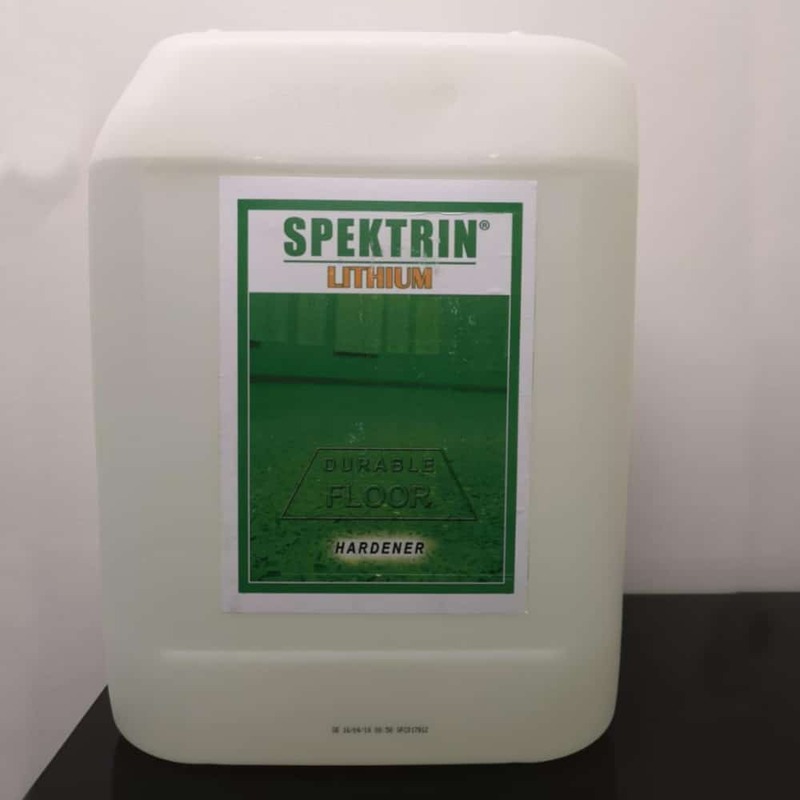 When completely dry (not earlier than 2 hours for SPEKTRIN LITHIUM, and 12 hours for the SPEKTRIN) it is necessary to again clean the floor with a cleaning machine or industrial vacuum cleaner. 11.Surface processing with polymer bond diamond tools 400 grit. 12.Polishing the surface with polymer bond diamond tools 800 grit. Use grinding/polishing machines at a fast speed and making 2-3 passes over the area. Each pass to be at 90 deg. to the previous. 13.Polishing the surface with polymer bond diamond tools 1500 grit. 14.Application of SPEKTRIN PLUS or SPEKTRIN LITHIUM PLUS with a thin layer onto a dry, clean surface. Procedures for applying SPEKTRIN PLUS or SPEKTRIN LITHIUM PLUS are described in the relevant instructions. 15.Finish polishing / Buffing of the surface. Polishing is performed not earlier than 12 hours after application of the SPEKTRIN PLUS or SPEKTRIN LITHIUM PLUS. Additional weights may have to be added to the handle of the grinding machine to lighten the weight on the grinding head. Use felt or other pads similar to horsehair that are light coloured. The above is applicable for concrete slabs aged over 28 days. This document presents updated information, but as we cannot be present and monitor the use of the material and the compliance process, we are not liable for any loss or damage caused by misuse. Prior to commencing we recommend the installation of a test area for the detection of possible nuances and characteristics of a particular floor, as well as to agree the final result with the client. Example Costs – 30-50 M² Kitchen polished and edged to 1500 grit, sealed with Spektrin hardener would cost around £1200 +delivery and vat. Example Costs – 200 M² Office / showroom polished and edged to 1500 grit, sealed with Spektrin hardener would cost around £1700 +delivery and vat. The above examples are estimations, the actual cost could be more or less depending on the quality of the concrete. Wear rates and tool life are all determined by the condition of the concrete. The above examples are by no means a guarantee. The metal bond diamond tools will typically grind around 500 M² depending on the quality of the concrete. For costing purposes you can calculate £33 wear charge for 50 M² in each grit level. The costing guide includes diamond tools through to 1500 grit. Should you decide to go a stage further to 3000 grit we can deliver these on a next day service. If you decide 400 grit gives the finish required then any unused diamonds returned will be refunded. The FTR machine can polish to within approximately 25mm of the wall. If you have to polish right up to the wall then you will need the hand grinder and EPO polisher. The equipment is shipped in a steel stillage for protection, a refundable deposit of £100 + VAT is payable to ensure safe return.